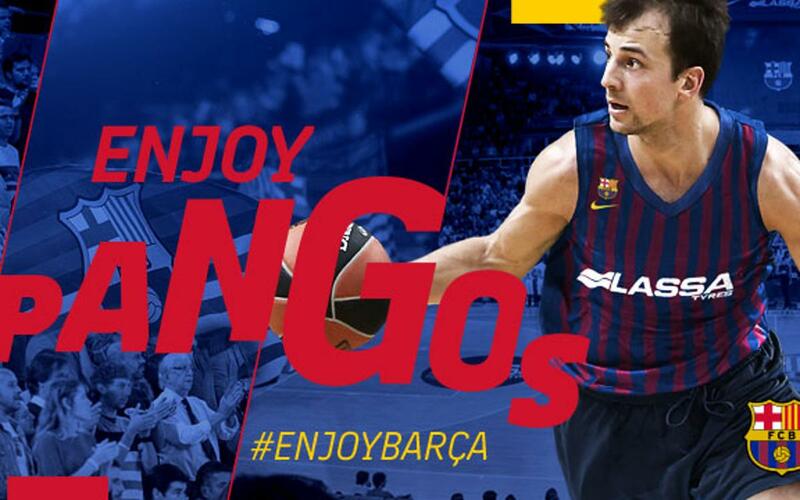 FC Barcelona Lassa and Kevin Joseph Pangos have reached an agreement for the next two seasons, until June 30, 2020. The Canadian point guard is 25 years old, has a Slovenian passport and was one of the best in the Euroleague for Zalgiris Kaunas this year, helping them to the Final Four. He arrives in Barcelona after winning the Cup and the Lithuanian League. Formed at the University of Gonzaga, where he played from 2011 to 2015, Pangos has already played in the Endesa League. During the 2015/16 season, he starred for Las Palmas de Gran Canaria in a campaign where he played 33 games in the ACB (10.8 points and 4.5 assists), and 19 in the Eurocup competition (11.9 points, 4.8 assists) where he reached the semifinals. After finishing the season in Gran Canaria, Pangos signed with Zalgiris for two seasons. In his two years with Zalgiris Kaunas, Pangos was excellent in the Euroleague. The 2016/17 season, his first contesting the continental competition, saw 8.7 points scored and 3.2 assists added in 21 minutes on average. It should also be noted that his success from three-pointers was 45.7 percent, and two titles were won. Zalgiris Kaunas completed a spectacular season in 2017/18, and it was also Pangos' best: 12.7 points (47.5 percent from three-pointers) and 5.9 assists in an average of 27 minutes on court.